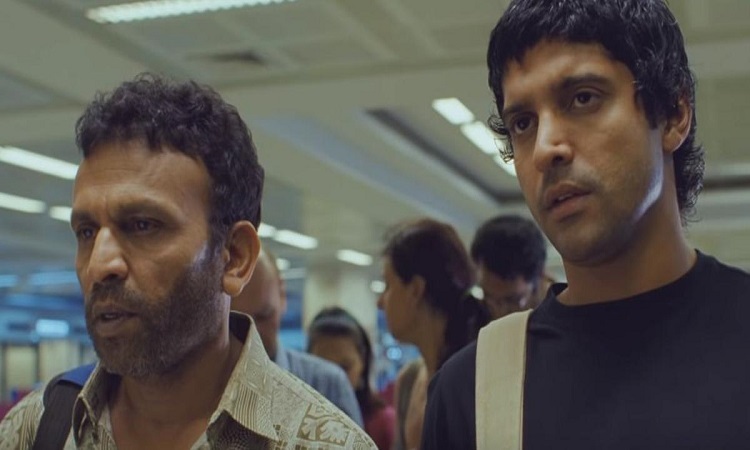 In his first acting assignment, Farhan Akhtar is splendidly in form as a bit of a jerk. He plays a production controller who can get a film crew anything they want -- from a monkey performing tricks to an exotic fakir performing monkey tricks. Adi is okay with supplying anything, as long as he gets paid. The monkey and the monkey tricks are aptly equated in the hugely original ferociously flawed script (Rajesh Devraj). When Adi is asked by a museum in Venice to produce a fakir who can bury himself completely in the sand for hours, the narrative brings into play the crass touristic culture of peddling exotica to the West. Annu Kapoor, in a stellar performance as the spaced-out alcoholic chawl dweller who desperately needs to make money, is that performing monkey. Though the theme is one of exploitation at the most basic level, the plot moves in mysteriously non-toxic ways, creating pockets of empathy between the two men with a languorous equanimity. It all comes apart after the first half with the storytellers hell-bent on Force-finding a crisis and a climax to round off the quirky tale of the human 'bandar' and the 'madaari'. Farhan and Annu Kapoor play off each other effectively. But the space provided for them to maneuver their differences and conflicts frequently gets crowded with humbug. They are unlikely companions separated by class and culture and also by the fact that the more sophisticated of the two men is an exploitative so-and-so. Sportingly, Farhan plays the morally compromised go-getter with conviction. Annu Kapoor is magnificent as the reluctant monkey, while Jhilmil Hazrika as Annu's sister leaves a lasting impression in a brief role. 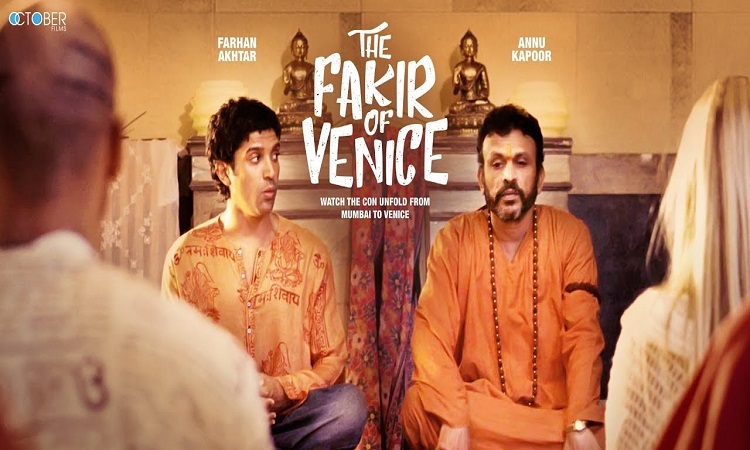 "The Fakir Of Venice" builds its narrative pyramid on a solid foundation of exploitative tourism. But the plot falls apart in the third act when a good-hearted local Italian woman (Valentina Carnelutti) intervenes to rescue the Fakir (with a tragic unconvincing secret) and even falls in love with him. If only the imaginative mind knew where to stop, so many global calamities could be prevented. Annu Kapoor TEAMS UP with Ayushmann; After SEVEN Years! Farhan goes and Extra MILE for Toofan!